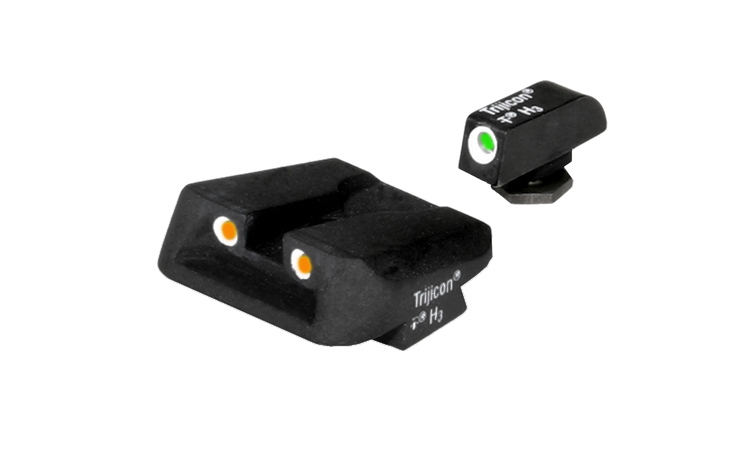 Trijicon 3 dot green front & orange Novak rear night sight set. Fits all Glock models except the Glock 36. Green/Orange.